October Challenge – A Very Krista Christmas! Once again it is time for Elizabeth Craft Designs Team Designer Challenge. Be sure to check out the Elizabeth Craft Designs Blog to see what all the designers have created for this challenge. Our challenge for October is A Merry Krista Christmas. We are using stamps and coordinating dies from Krista Schneider‘s new release for this challenge. Which of the new Krista Schneider stamp sets would you use to create a Christmas card. Step 1 Form card base 4-1/4″ X 5-1/2″ card base using white Soft Finish Cardstock. 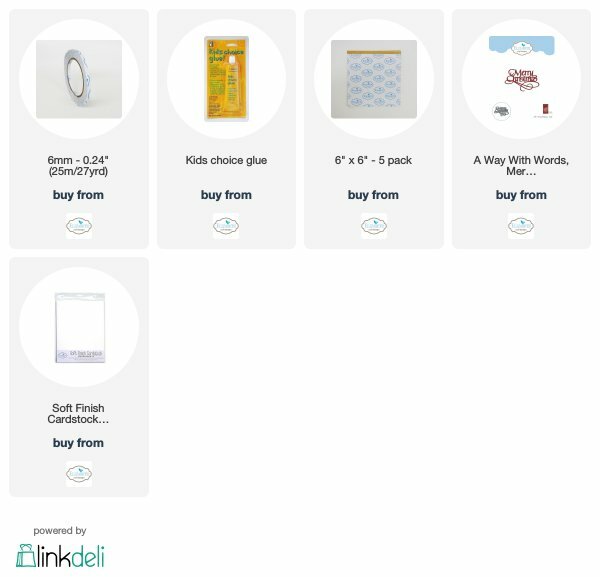 Step 2 Cut white Soft Finish Cardstock 4″ X 5-1/4″ add Clear Double Sided Adhesive to top. Remove protective covering a little at a time pouring Periwinkle Silk Microfine Glitter over exposed adhesive once covered with glitter tap off excess glitter polish with fingers. Step 3 Using curved die From Joset Designs Sliders and Spinners place cutting edge down on glittered cardstock approximately 1/2″ in from left edge 1-1/4″ up from bottom right end should be approximately 1-1/4″ down from top – die cut slot. Step 4 Lay glittered piece in position on card front lightly trace the arch remove glittered piece add piece of Clear Double Sided Adhesive which is cut slightly larger that slot use Periwinkle Silk Microfine Glitter cover area on card front tap off excess polish in with fingers (by glittering this area it will be almost look seamless). Step 5 Cut white Soft Finish Cardstock 1″ X 4″ add Clear Double Sided Adhesive on top using Cool Diamond Silk Microfine Glitter pour over exposed adhesive tap off excess then polish with fingers. Tear lengthwise to give snowbank effect. Adhere to bottom of larger glittered piece. Step 6 Using moon die from new Krista Schneider Reindeer set cut 1 moon from white Soft Finish Cardstock with Clear Double Sided Adhesive on top. Remove protective covering add Cool Diamond Silk Microfine Glitter tap off excess polish in with fingers. Color with yellow alcohol marker. Adhere to upper right corner of glittered cardstock using Kids Choice Glue (I think it sticks better to glittered surface). Step 7 From red cardstock with Clear Double Sided Adhesive on top die cut Suzanne Cannon‘s new Merry Christmas – small remove protective covering add True Red Microfine Glitter tap off excess polish in with fingers adhere to glittered cardstock piece lower right corner using Kids Choice Glue. Step 8 Using Krista Schneider‘s new Reindeer Clear Stamps and Dies stamp reindeer using black ink compatible with alcohol markers on white Soft Finish Cardstock die cut using coordinating die set. Color using alcohol markers. Step 9 Cut 1/2″ – 3/4″ circle from white cardstock add 2 dimensional dots one on top of other. Add dimensional tape on back of glittered piece being sure to stay away from slot as you want your reindeer to slide freely. Place circle with pop dots behind glittered paper making sure the pop dots come up through the slot. Adhere glittered cardstock to card front keeping pop dots aligned in slot. Step 10 remove protective covering from top pop dot adhere your reindeer onto it. I do hope you have enjoyed my tutorial today! Be sure to visit Elizabeth Craft Designs Blog to see all the other creations using Krista Schneider‘s new collection that has just been released. While you are there be sure to enter for a chance to win a $20.00 gift card. Krista has lots of new stamps and coordinating dies to make your Christmas cards with. Below I have provided you with links to Elizabeth Craft Designs products that I have used today. Just click on any one of them it will take you to their site. Thank you for stopping by today and good luck! Today is a new challenge for Elizabeth Craft Designs Design Team. This month the Design Team Challenge is Christmas Fun With Character Dies which is a brand new release by Joset Designs. 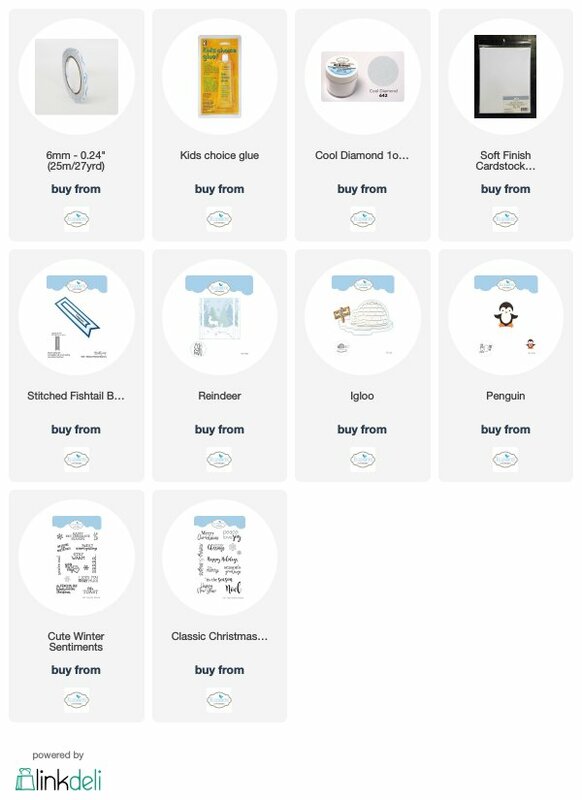 There are so many cute dies and I have chosen to use the Penguin and Igloo die sets. Be sure to check out all the other Design Team creations on the Elizabeth Craft Designs Blog and at the same time answer the question for a chance to win. Here is how my card was made. Step 1 Form 6″ X 6″ gate fold card from white card stock by cutting cardstock 6″ X 12″ scoring at 3″ from each end fold on score lines. Note: by measuring in from each end your center comes together more evenly. Step 2 From white Soft Finish Cardstock cut 2 pieces each 2-3/4″ X 5-3/4″. Using embossing folder of your choice (snowflakes used here) emboss pieces. Adhere to card front using Clear Double Sided Adhesive. Step 3 From white Soft Finish Cardstock die cut Igloo and ice (ice cut twice trim away so you only have top) and the sign. Using light blue ink highlight edges of igloo and ice. Adhere the trimmed piece of ice to top of whole piece which gives it more dimension. Adhere the igloo overlay to the igloo using Kids Choice Glue adhere to the ice using more Kids Choice Glue. Lay onto card front to determine where you want it adhere to right side of card front only making sure to keep adhesive just on left side use Clear Double Sided Adhesive. Step 4 Cut 1 complete Penguin and 1 wing and set of feet. Cut wing so it looks like bottom of penguin using Kids Choice Glue adhere feet to penguin bottom then adhere to entrance to igloo using Kids Choice Glue. Using Kids Choice Glue assemble the complete penguin to use inside of card. Step 5 Cut blue cardstock that has white core 4-1/4″ X 5-1/2″ emboss with snow flake embossing folder then sand lightly to highlight the snowflakes. If you do not have the white core card stock you can use snowflake patterned paper cut to these dimensions. Adhere to card center using Clear Double Sided Adhesive. Step 6 Using snow mound die from Reindeer die set cut 2 mounds from white Soft Finish Cardstock that has Clear Double Sided Adhesive on top. Using Silk Microfine Glitter – Cool Diamond sprinkle over adhesive on snow mounds tap off extra burnish in with fingers. Using Clear Double Sided Adhesive adhere mounds to bottom of blue cardstock. Step 7 Cut 3 trees from green cardstock using die from Reindeer die set. Using embossing fold emboss trees using embossing folder of your choice. Using green Distress Ink add shading to trees. Adhere trees to card using Kids Choice Glue. Step 8 Add Penguin using Kids Choice Glue on the back of very bottom. Step 9 Using brown Distress Ink ink up sign and post. Stamp sentiment on sign using black ink and Joset Designs Cute Winter Sentiments stamp set. Adhere to penguin’s hand using a little Kids Choice Glue. Step 10 Using black ink stamp Merry Christmas from Joset Designs Classic Sentiments stamp set. Hope you have enjoyed this tutorial and will make your own card. Be sure to visit Elizabeth Craft Designs Blog to enter for a chance to win and to see all the great projects designed by our Design Team. 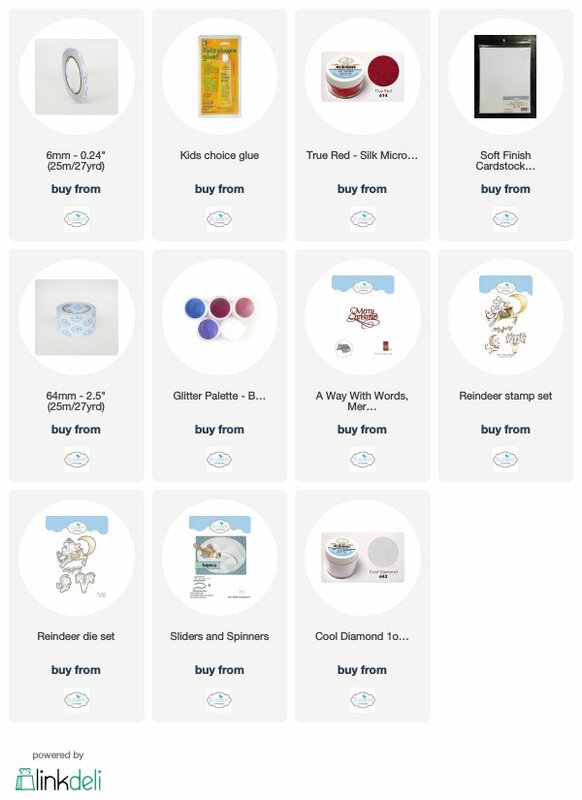 For any of the Elizabeth Craft Designs products used in this project just click on any of the pictures below and it will take you directly to the site.